Streamline operations with end-to-end load management from J.B. Hunt 360. Log in once to find, book and accept loads. Get the loads you want in your favorite lanes. Search for loads by pickup or delivery date, location, equipment type and more. Name your offer price on loads you want to carry. If approved, you can accept the load tender & dispatch directly from J.B. Hunt 360. 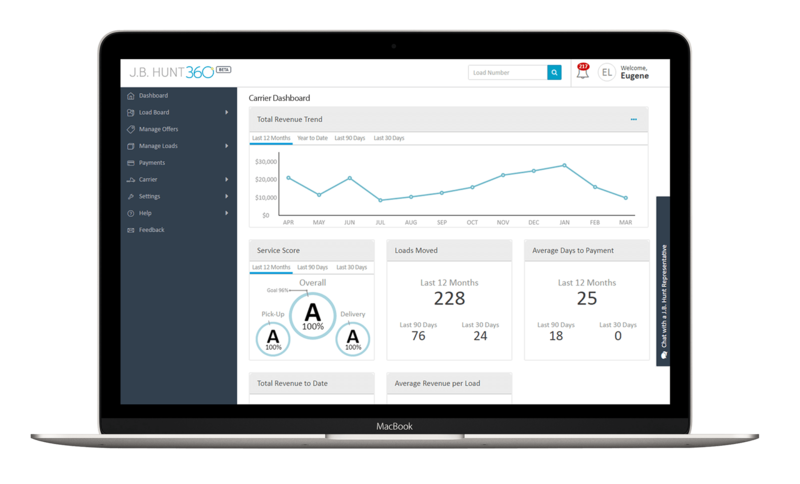 Use the J.B. Hunt 360 dashboard to monitor service performance and revenue.